Q- Where do I cut a trophy for a shoulder mount? A- With a sharp knife, slit the hide circling the body behind the shoulder at approximately the midway point of the rib cage behind the front legs. Slit the skin around the legs just above the knees. An additional slit will be needed from the back of the leg and joining the body cut behind the legs. Q- How can an animal get freezer burn? A- The loss of moisture from tissue. We prevent this by adding more water. Q- Should I skin out the whole animal? A- No, if its big game skinning it out to the neck is sufficient, then leave the rest for the taxidermist to take care of. Q- What can I do to keep my mount maintained or looking new? A- Use a feather duster to remove dust. For bears, mink, squirrels, and similar furbearers, they should be vacuumed with a hose attachment and groomed with a brush. Many of these animals should be groomed backwards to allow the hair to lay naturally and not matted down. Gently wipe in the direction of the fur with a product called Mount Protect . It has a pleasant scent that repels moths and bugs. It also adds shine to the fur. Groom when the mount is dry. You can also take a paper towel or regular towel and spray some Windex on it and wipe your trophy gently in the direction of the fur, or feathers. A taxidermist can also professionally clean older mounts. Q- Does sunlight affect my trophy? A- Absolutely, direct sun will cause discoloration in the hair, and feathers, no nutrients to those parts leaves them susceptible to sun’s rays, just like sheds you find in the woods, after a while they turn bleach white. 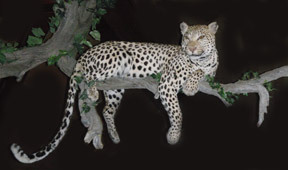 Q- How should I transport my trophy from the place I harvested it to the taxidermy shop? A- You should skin out the trophy up to the neck, and freeze it, or if it will be more than a few days and freezing it will be an issue, skin out the whole animal and you’ll have to make sure at least 80% of the fat and meat is off the skin and then salt it (non-iodized salt) After you salt it and let it dry for a few hours hang it up so more of the fluids can drain out of the skin (preventing bacteria beds to form) which causes hair to slip. If you have to skin the head out, please take your time and follow the bone contour of the head as closely as possible. If you haven’t done it, and don’t feel comfortable let someone else that has done it do it. Q- Does cigarette smoke affect my trophy? A- Absolutely, the chemicals in the smoke cause the hair or feathers to get a discoloration, a tavern yellow look, it can be somewhat fixed but not completely.